As part of an initiative to “touch base and communicate” with all the Membership, I have been asked to start writing a Blog, so please find my initial attempt, and something that I hope will continue for the foreseeable future. “As I sit here at the beginning of 2019, realising that my year as Master of this wonderful Company is now half way through, I thought I would share with you some of the experiences I have enjoyed over the last six months. Excluding the various internal committee meetings I have attended, Events, Finance, Membership and PR & M, Management Board and of course the Court of Assistants at which I preside over; I have had the honour to represent the Company on over fifty occasions, attending numerous events in and around the City of London. 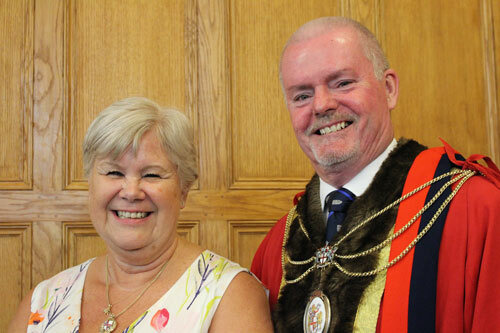 Having sworn my Declaration as Master on Friday 6th July I attended my first event on Monday 8th July at the Central Criminal Court, for the Annual General Meeting of the Sheriffs’ and Recorders Fund, which raises money for ex-offenders. During the evening I heard a moving account of a woman who had been helped by the fund to turn her life around having recently been released from prison. As a Magistrate, I have experienced the workings of a Court on many occasions but nothing I have seen prepared me for sitting in the Dock at the Old Bailey, alongside several other very nervous looking Masters. Still in July, having been released from the confines of the Dock, I was invited by the Worshipful Company of Distillers to the International Wine & Spirit Competition Award-winning Spirits Tasting event held at Vintners’ Hall. You can rest assured I maintained the honour and reputation of Firefighters everywhere. After the summer break - the Livery effectively closes during the month of August - the autumn season began with our Company hosting The Modern Livery Companies Dinner at Tallow Chandlers’ Hall where we were joined by over 25 Masters of other Modern Companies and our Principal Speaker Alderman Sir Andrew Parmley. In October I hosted the St Florian’s Installation Banquet at Salters’ Hall which for many was the first time that they had been to this venue. 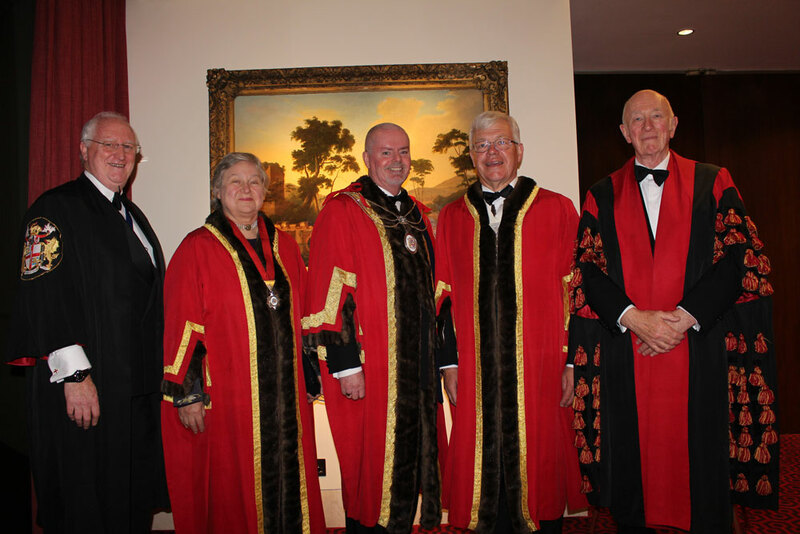 On Monday 26th November I attended the Election Banquet of the Worshipful Company of Bakers. Their principal guest was the Master of the Rolls. Not surprisingly the Lord Mayor had great fun with the Master Baker and the Master of the Rolls concerning their connection to the Great Fire of London and the courageous efforts of the Firefighters to put it out. Although I have attended many lunches and dinners during my first six months, and yes, my suits are now a little tighter, my legacy as Master should not be measured by the food and wine I have enjoyed. Although I am incredibly grateful for the kindness shown to me by Masters of other Livery Companies, which I believe is a sign of the high regard to which our Company is held within the City, these are not the events which will stay with me long after my year as Master comes to an end. Probably the one event that will, was on the 9th September, when I, along with other members of the Company, attended the Annual Service of Remembrance at the St. Sepulchre without Holborn Church followed by the Wreath Laying Ceremony at the Firefighters Memorial next to St. Pauls Cathedral, to those brave men and women who have made the ultimate sacrifice while serving their community. In association with our Charitable Trust, the Company invited the recipients of the Community Fire Cadets awards, along with their parents and families to our new home at Wax Chandlers’ to receive their certificates on the 24th September. It was a most enjoyable evening and the look on the faces of the young people when they entered the Hall was wonderful. A few months later when attending an event at Guildhall one of the of the security staff came over to shake my hand and to thank me on behalf of his granddaughter who still speaks about her experience while collecting her award. On Monday 5th November along with the Lord Mayor, Sheriffs and the Masters of all the Livery Companies I attended the opening of the Annual Garden of Remembrance at St Paul’s Cathedral. Following a short service, we each laid a simple wooden cross to honour the sacrifice of all British and Commonwealth Armed Forces, and any forces under British command since 1914. As I start the second half of my year as Master, I would like to take this opportunity to thank all those individuals in the Company who have given me their advice and support, and most importantly their friendship and you can be assured that whenever I represent the Company, I will do it in the spirit of Service, Fellowship, Harmony and Honour.